Originally published in The Patriot-News on March 23, 2012. Harrisburg might be making headlines for violence and debt, but there’s more to it than that. That’s the message behind “I Am Harrisburg,” a hip-hop song written for the people of the city to rally behind. 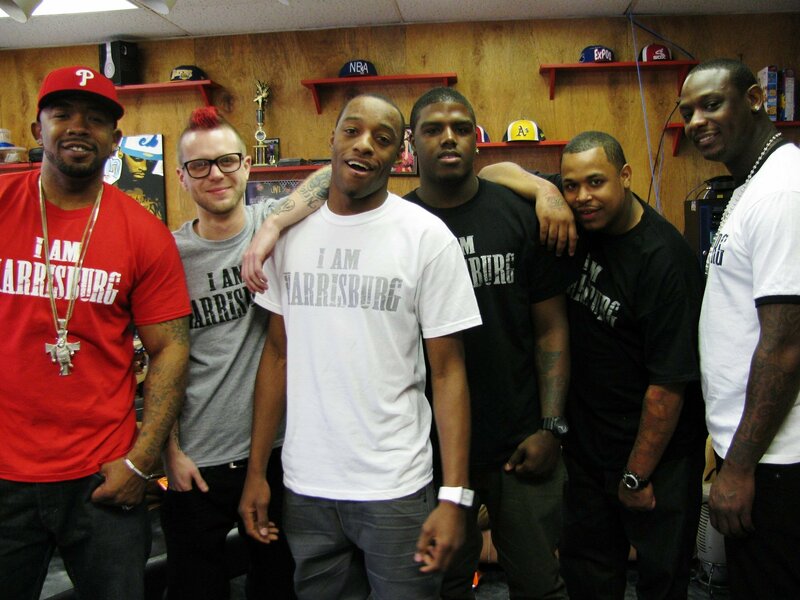 Written by local rappers and producers All Steezy, Jaymes, Zach, Pacino, Bobbo and Supa Dupa Sultan, “I Am Harrisburg” is meant to be an anthem for the city. The song was written last May but its music video was posted this month. When it made the video and the song, the group had no idea that the month it posted it would be known for violent crimes nor that Harrisburg would be named the 20th most dangerous city in the United States by NeighborhoodScout.com. Just as the media was flooded with reports of shootings, stabbings and robberies, YouTube lit up with a song about the positive side of Harrisburg. “It was perfect timing,” Pacino said. The video features Harrisburg locales like Market Street, Sea Bash and the Capitol, while the lyrics mention Mayor Linda Thompson, LeSean McCoy and Middleswarth chips. Even former Mayor Stephen R. Reed gets a mention. Filmed like a block party, the music video features people of different ethnicities sporting “I Am Harrisburg” T-shirts and dancing. “We just wanted to put together a campaign and involve the city as a whole, not just one ethnicity or one class or one set of people,” said Supa Dupa, who shot and edited the video. Some are indifferent to the song, like the Hershey Harrisburg Regional Visitors Bureau. The people behind “I Am Harrisburg” sincerely stand by the city, praising it for its diversity, small size and neighborhood feel. Supa Dupa, in particular, loves the city at 2 a.m., when the clubs have shut down, but several eateries are still open and the crowd floods into the street. But at the same time, the rappers are cognizant to the city’s problem. And they see a solution: unity. “When a city comes together, it’s unstoppable,” Zach said. Read the full story on PennLive.com.